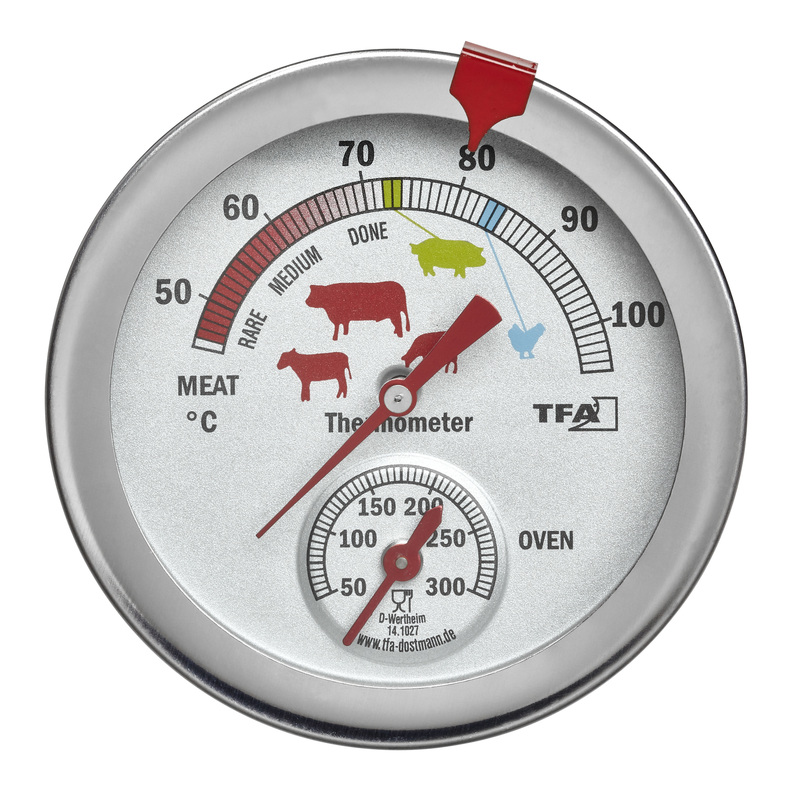 The ideal kitchen helper for all meat lovers, BBQ enthusiasts and foodies. 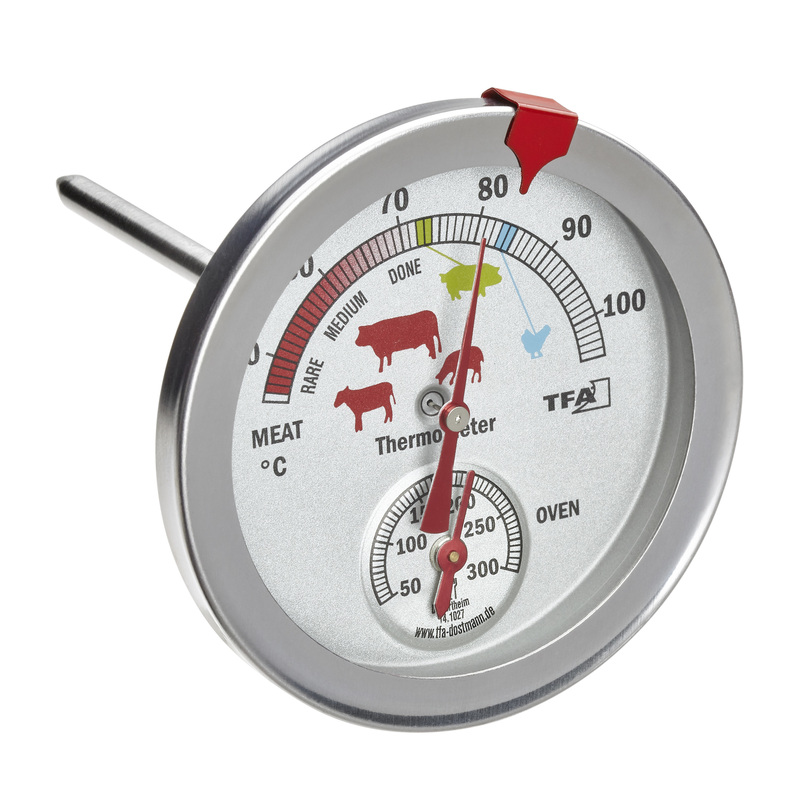 Whether you like a pink beef steak, a tender pork loin or crispy poultry, this thermometer shows you the perfect cooking temperature and measures the oven temperature at the same time. So your dish is cooked to perfection. 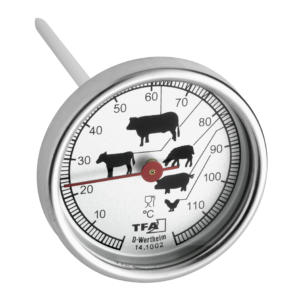 The stainless steel penetration probe with a thin tip is simply inserted into the meat and you can now read out the core temperature any time. 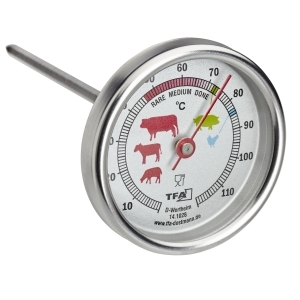 This practical instrument is heat-resistant and can remain in the oven or grill during the whole cooking process. 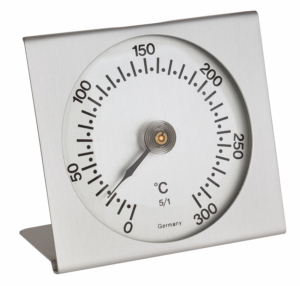 It’s also ideal for low-temperature cooking.